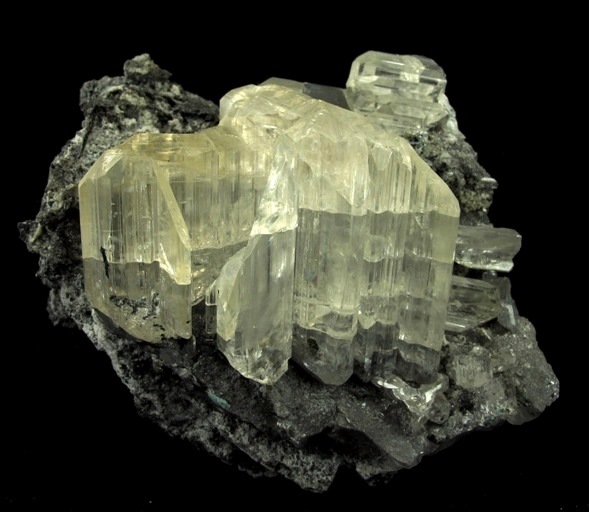 Eye-popping specimen with a very 3-dimensional cluster of the most glassy and transparent Cerussite you can ask for, literally looking like its about to leap off the matrix and pop out at you. 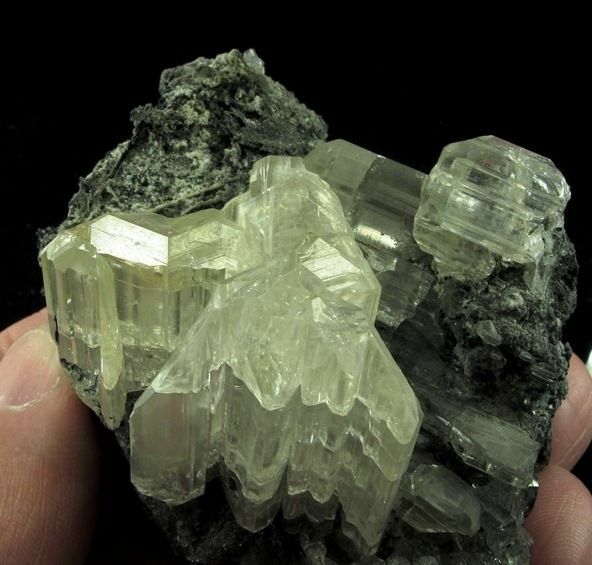 The leached Galena forms the matrix for a cluster of cyclic-twinned, gemmy, colorless Cerussite crystals with adamantine luster. 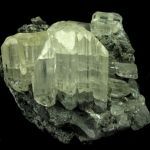 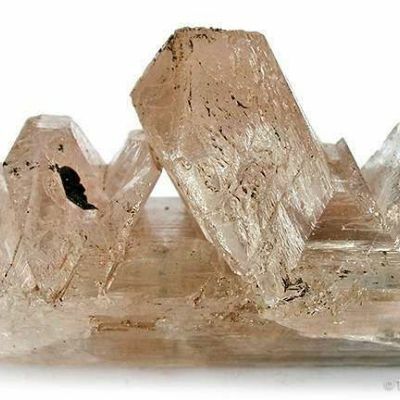 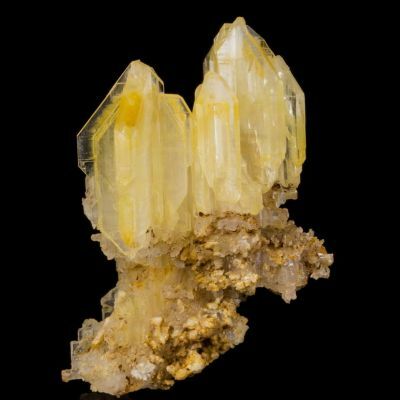 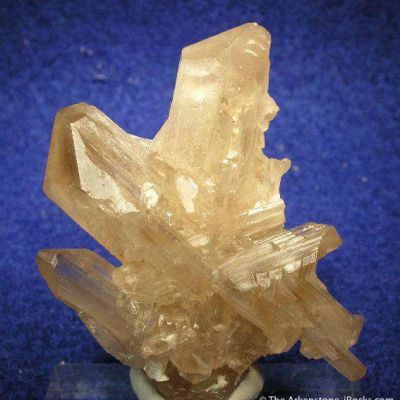 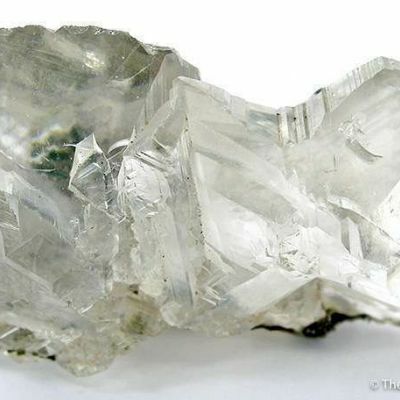 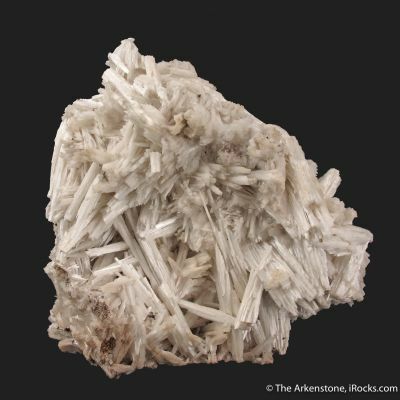 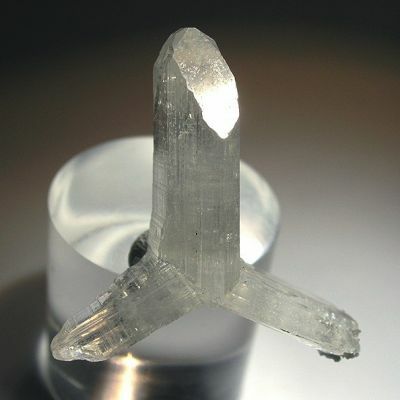 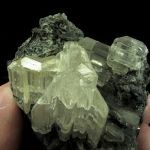 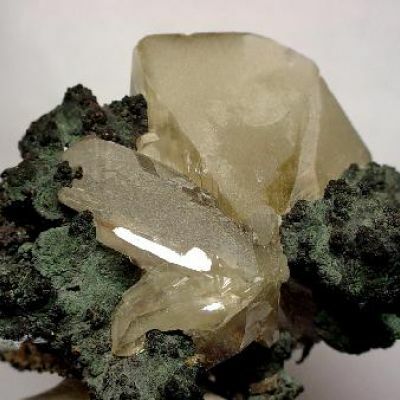 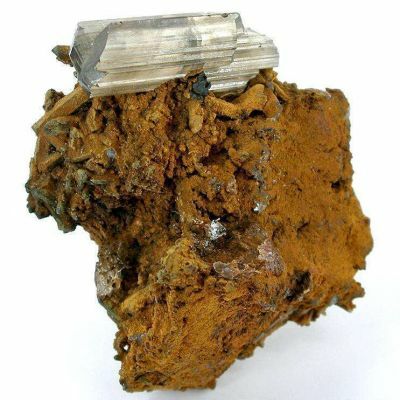 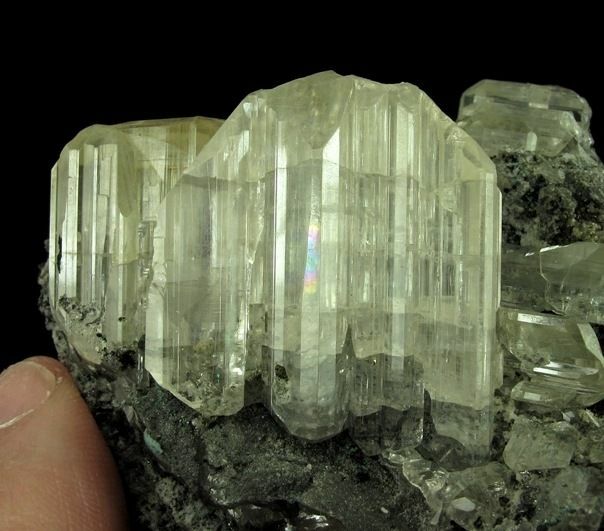 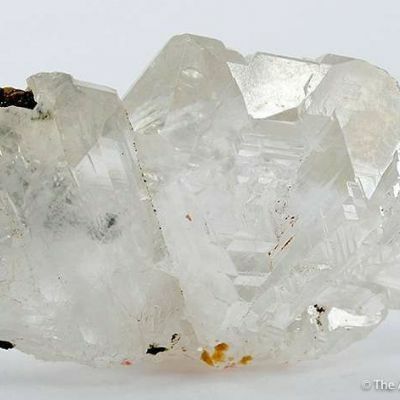 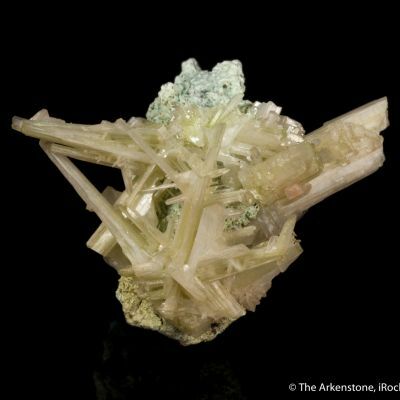 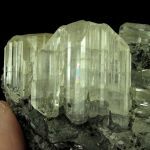 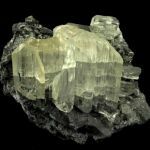 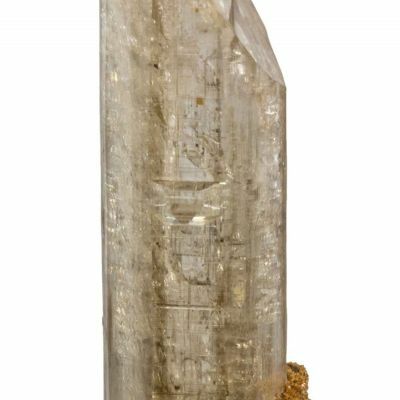 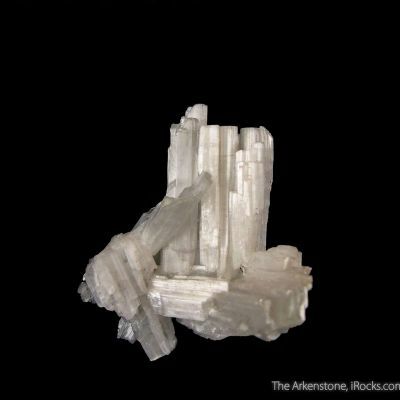 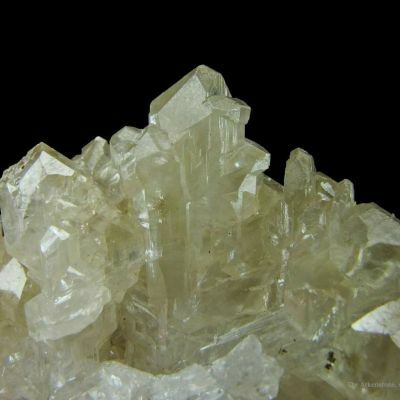 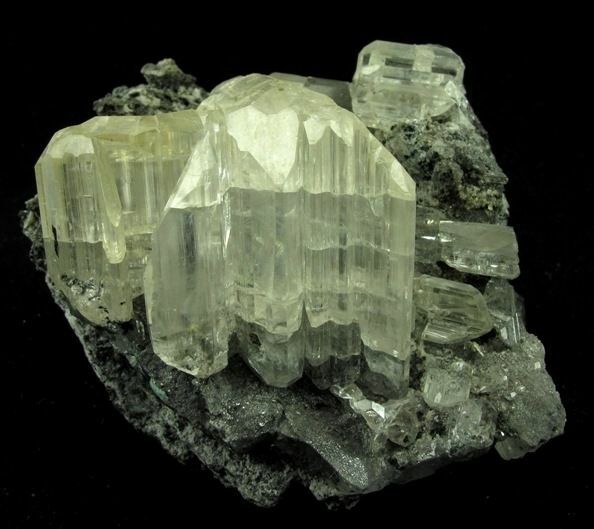 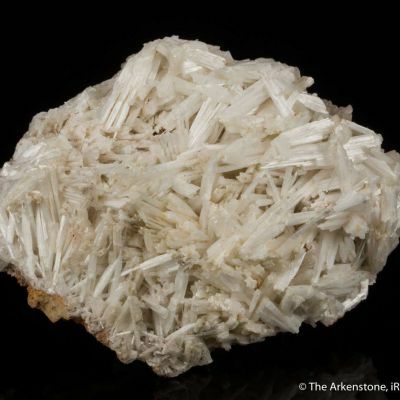 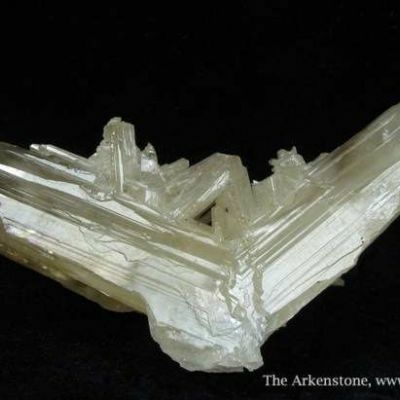 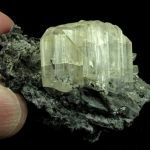 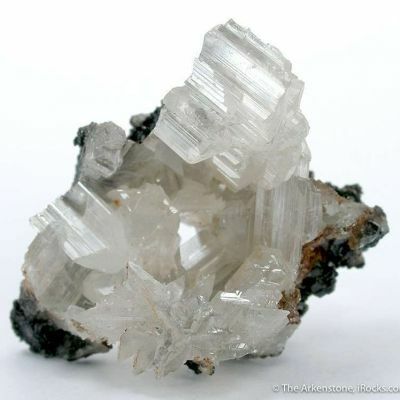 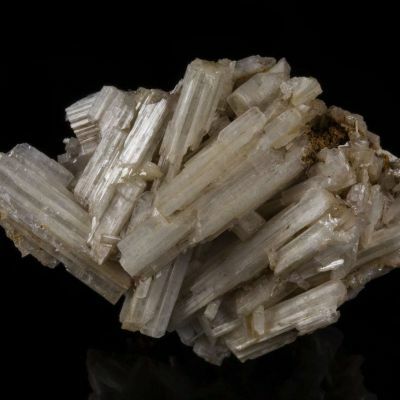 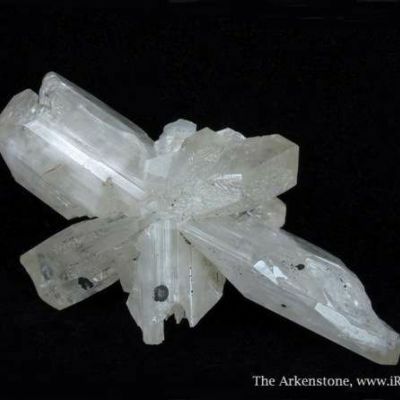 The Cerussite crystals reach 3 cm in length and when the crystals are viewed head on, the intricacies of the cyclic twinning become even more evident. 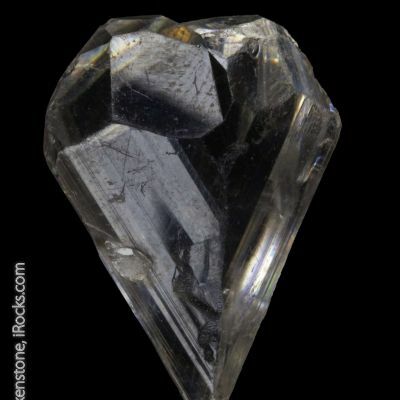 Very fine! 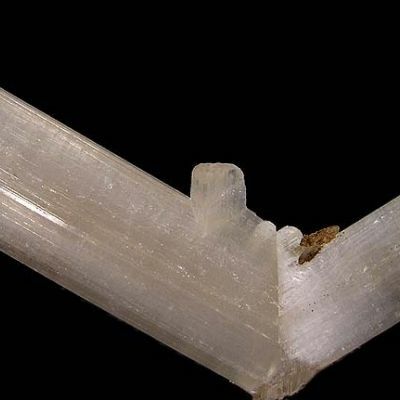 Also, such Cerussites ON MATRIX are rare for obvious reasons of fragility and handling issues. 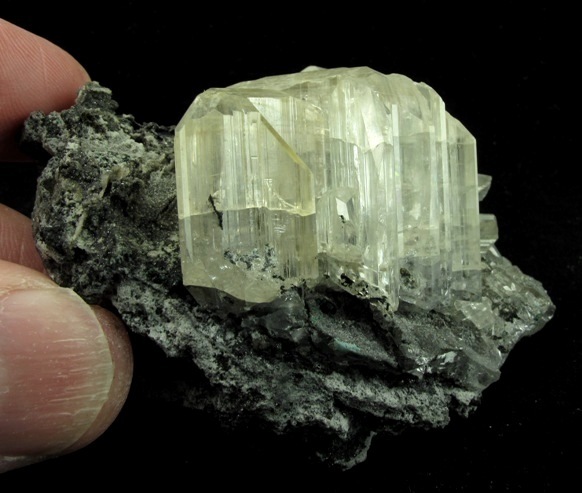 This one, however, is one of the better matrix Cerussites of this style I have seen in recent years, and is pristine except for a very tiny ding on one tip of one crystal portion (hardly noticeable) .